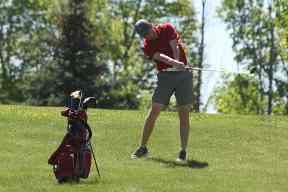 A Massena golfer drives the ball toward the green on the first hole. 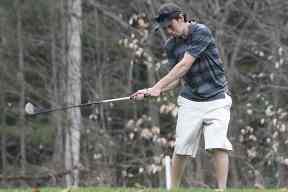 Also for Massena, Nick Moffitt carded a 39, Ben Chilton fired a 41, Nick Linstaedt shot a 42, Jake Amo a 44 and Dillon Tyo stroked a 46. 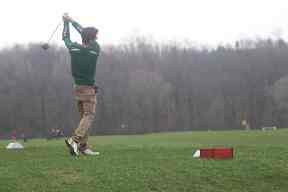 Also for Potsdam, Nolan Towne shot a 43, Charlie Helenbrook and Kobe Phillips listed 45s, Romano Sergi finished at 42, while Declan Dougan fired a 50.
massena defeats malone in league, northwood non-lg. A Malone golfer tees off on the fourth hole of the Massena Country Club course. 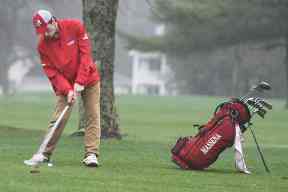 Massena was led by Nick Linstead's 38, followed by Jake Amo and Moffitt who carded 40 each, Terrell Thomas posted 41, Ben Chilton and Dylan Tyo listed 42 each. For Malone, Matt Delisle came in at 37, Josh Brown and WIll Perago shot 47s, while Chandler and Blake River shot identical 49s. 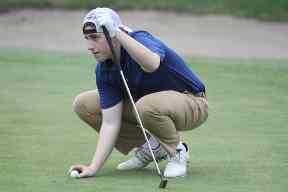 Northwood's lowest scores were posted by Weston Batt 41, Cody Monds 42, Zach Elsworth 42, Jared Lambright 44, and Scott Herman and Rico DiMatteo at 45 each. A Potsdam competitor drives the ball over the pond and onto the green on Hole 3 at the Potsdam Town and Country Club course. 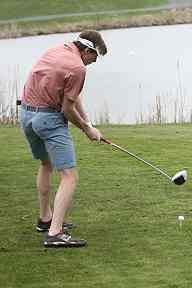 Following Mills for O.F.A.,, Kelson Hooper fired a 40, Colby Ryan 43, Jake VanHouse 44, Jayden Kench 46 and Jack Mills 57. Two others non-scoring were Nick Robert at 47 and Garrett Ball 50. Carson Regan paced the Sandstoners with a 44, followed by three players -- Charlie Helenbrook, Kobe Phillips and Romano Sergi all at 49. Declan Dougan hit 64. Jordan Gilbert fired a non-scoring 49. 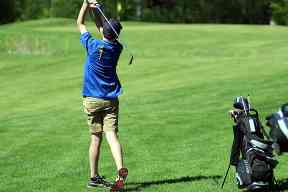 A Gouverneur competitor watches the flight of his shot up the fairway. Dylann Farr shot a team-best 43, followed by Sully Rumble's 48 and Avery Hayden's 56. 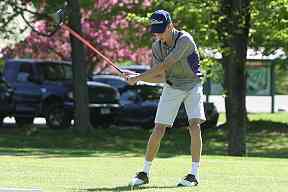 Wyatt Helmer shot a 61, Dawson Miller 63 and Brandan Currier 77. 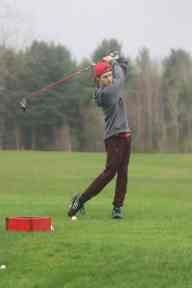 Two other golfer, Nick Burns shot a 50 and Drew Harmer 51. The Flyers were led by Trent Tatum at 41, Jace Dutch and Austin Ward carded 46 each, jacob Dutch fired a 49, while Josh Hargett posted 62 and Jaron Belmore shot a 71. A competitor from Colton-Pierrepont tees off on the first hole to begin the matchup with Salmon River. 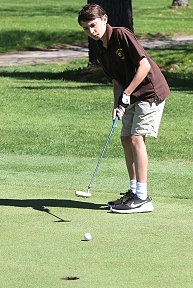 Billy LaPierre led the Colts with a 49, just four strokes off the pace. Ben Mcinley posted a 62, while Cole Richards fired a 72, Brooke Wilson 73, Andrew Edwards 78 and Aaron Collins a non-counting 95. 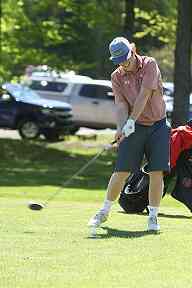 Tupper Lake was led by Riley Gillis at 44, Nick Skiff at 48, Bryce Davison 59, Jeremiah Bell 61 and Pat Clark 67. 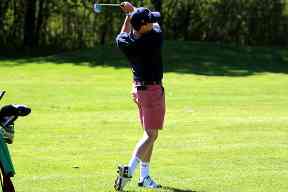 Logan Dominie posted a 72. 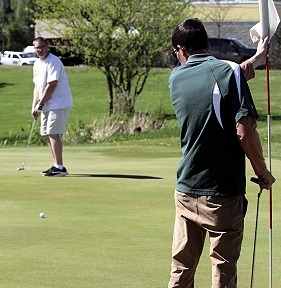 Colton-Pierrepont’s Billy LaPierre lines up his putt on the green of the fifth hole at the Potsdam Town and Country Club course. LaPierre led the Colts in scoring with 54, followed by Cole RIchards with 62, Brooke Wilson 64, Andrew Edwards 76, Ben McKinley 77 and Aaron Collins 95. Adam Szlamcynski led the Eagles with the overall match low of 41, followed by Mason Peabody at 42, Logan Lutz who carded a 45, Eric Szlamcynski 49, Tim Levy 51 and Zana Northrop 62. Copyright © 2001-2012 a href="http://communitysights.com">CommunitySights.com. All rights reserved. All logos, photographs, text, designs and online broadcasts are copyright. No portion of this web site may be copied, transferred, duplicated or otherwise used in any form without expressed written permission.